Until recently, the Danish legislation regarding online gambling activities was rather restrictive as there was a state-owned monopoly in the country which prevented foreign gambling operators from applying for local licenses. This monopolization impeded the growth of the Danish gambling market, preventing it from being a strong competitor for foreign rivals. Fortunately, this all changed five years ago with the enforcement of a new piece of legislation which opened the market for international online gambling providers, allowing Danish players to choose from a wider range of reliable, regulated betting websites. Currently, all forms of landbased and interactive gambling are legal on the territory of Denmark, with players being able to enjoy a nice range of betting products, including virtual casino games, poker, and sports betting. Read on to learn more about the online gambling legislation in the homeland of Hamlet. Five years ago, the state-owned Danske Spil was the only company on the territory of Denmark that was issued a license, allowing it to offer casino games and sports betting services to Danish residents. All foreign gaming operators were barred from providing players in the country with real-money gambling services. License applications from international operators were not accepted, either. This left Danish players with an extremely limited number of legal gambling options. Despite that, many international gambling providers accepted wagers from Danes and catered to their needs by offering websites that supported the Danish language as well as payment methods, suitable for players from the country. However, since Denmark is a member state of the European Union, the European Commission intervened, forcing the country to take its first steps towards market liberalization. In 2008, the European Court of Justice addressed the issue and challenged the state monopoly, established by Danske Spil. A new piece of legislation, known as the Danish Act on Gambling, was drawn up to allow foreign gambling operators to apply for local licenses. The process of opening the Danish market was by no means quick or easy. The first draft of the legislation that was to liberalize the market was released in 2010, but was met with a strong opposition on behalf of Danske Spil and the landbased casinos operating in the country. The landbased companies were dissatisfied with the fact that the new legislation proposed lower taxes for licensed online gambling providers. The new legislation proposed that the taxes on landbased casinos should start at 45% of their gross revenue while these imposed on online gambling operators were significantly lower at 20% for the gross gaming revenue and 28% for corporate taxes. The European Commission once again stepped in and ruled in favor of the proposed taxes which helped the liberalization of the Danish gambling market to move forward. 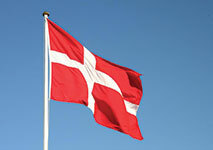 As of 2012, the Danish Act on Gambling was officially enforced. The same year saw the establishment of the Danish Gambling Authority, locally known as Spyllemindigheden, which is responsible for the supervision, regulation and licensing of gambling operators in the country. Online gambling operators interested in offering their services to residents of Denmark are now required to first obtain a license from the Danish Gambling Authority. So far, this regulatory body has issued over twenty licenses to international gambling operators, including large players in the industry like bet365, 888, and bwin. Several unlicensed and therefore, unauthorized operators have already been blacklisted. What is more, the Danish government has the authority to instruct financial institutions to block transactions to and from online casinos that have been added to the blacklist. Web-based gambling providers interested in operating in Denmark can apply several types of licenses – for sports betting, virtual casino games, and online poker. The new legislation works to the advantage of poker players, especially, since it allows regulated poker platforms to pool Danes with fellow poker players from across the world. This is not the case in some European countries where tournament participants are allowed to seat at tables with players from their own country only. However, there is still a great number of online gambling providers that accept players from Denmark without having a license from the local authorities. Most operators provide players from the country with the opportunity to load the websites in their native language and choose from a wide range of convenient methods of payment that support DKK as a currency. Danske Spil continues to hold its monopoly over specific forms of gambling, such as lotteries, number games like bingo, and race betting that involves animals (pigeon, horse, and dog races, for instance). As was mentioned previously, the Danish Gambling Authority was founded right after the Danish Act on Gambling came into effect. This governmental body regulates the majority of gambling forms in the country and issues the licenses of foreign gambling providers that wish to offer their services to Danish residents. International companies can apply for two types of licenses. Type A licenses are valid for online sports betting services while Type B licenses cover virtual casino games and poker. These licenses are not transferable and need to be renewed every five years. There are a number of requirements operators need to meet in order to obtain a license from the Danish Gambling Authority. For instance, the funds of players should be kept in a separate, secure bank account while the casinos’ accounting system must be available for audits at all times and should be updated on a daily basis. Another condition dictates that the operators’ software should be up to par with the technical standards outlined by the Danish Gambling Authority. The available games should be tested for fairness and randomness by accredited testing agencies. Before operators are granted a license, they need to provide proof of their compliance with the Appropriate Financial Operation Regulations of the Danish Gambling Authority. The good news for Danish players is that no taxes are imposed on the winnings they generate when betting online, regardless of the amount they have won. However, this is not the case as far as licensed gambling operators are concerned. All operators that have been approved by the Danish Gambling Authority are required to pay a license fee that amounts to DKK250,000. This is the amount for one license only. Meanwhile, companies that apply for both Type A and Type B licenses are subject to a license fee of DKK350,000. Since the licenses are valid for five years, the licensees need to pay an annual fee which depends on their yearly revenue and varies anywhere between DKK50,000 and DKK1,500,000. Meanwhile, companies that operate on the territory of the country are subjected to a 28% tax rate, but there is also a tax of 20% on their gross gaming revenue. Ever since the enforcement of the Danish Act on Gambling in 2012, the online gambling market in the country has been growing at a rapid pace, so much so that Denmark has even become somewhat of a role model when it comes to gambling regulations. By opening to foreign competition, the country has succeeded in bringing most of its interactive gambling activities within a regulated market. This is beneficial for two reasons and the first one is that the risks for Danes playing at unreliable and harmful gambling websites are reduced, at least partially. Then again, regulating the local market is beneficial for the state itself because it gives its revenue a boost thanks to the taxes, imposed on the licensed operators. Danish players may have an even wider range of options as certainly more international gambling providers will apply for local licenses in the future.